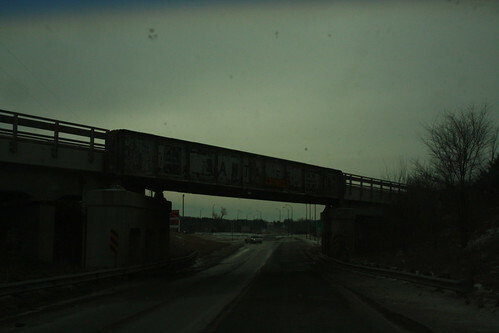 This "Truck Guillotine" bridge takes the former Santa Fe Tulsa line (now the Prairie Spirit Rail Trail) over US 59 south of Garnett. 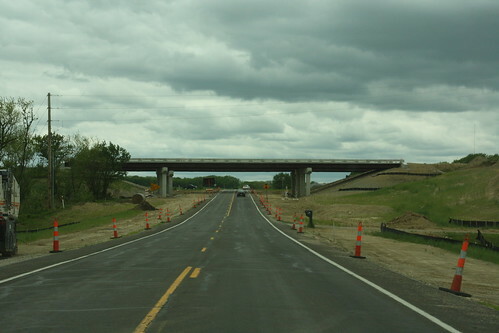 The bridges that will take US 59 over N 1000 road south of Lawrence. 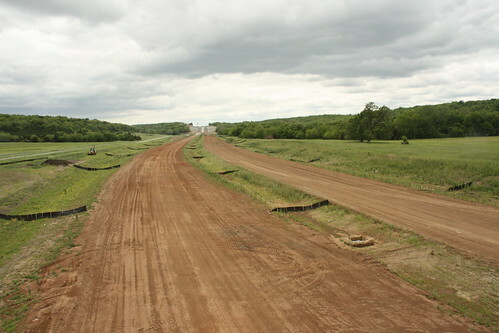 Here's a shot from the new US 59 from the N 900 bridge looking Northwest. 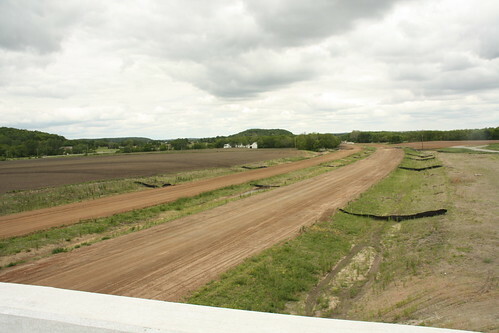 grading is nearly finished; however, paving is not anticipated until next construction season. 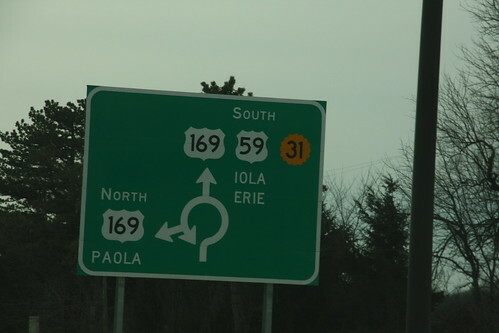 Here's a wide shot from N 900 Road looking south over US 59.